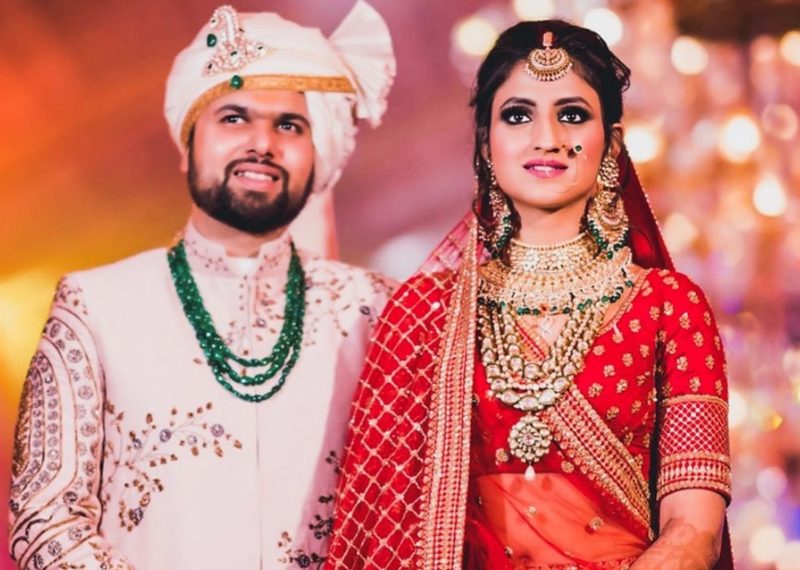 Instagram blogger, Karishma Yadav who has a instagram page as pinktrunkk recently tied the knot with long time beau Karan Bhalla and we can’t keep calm. 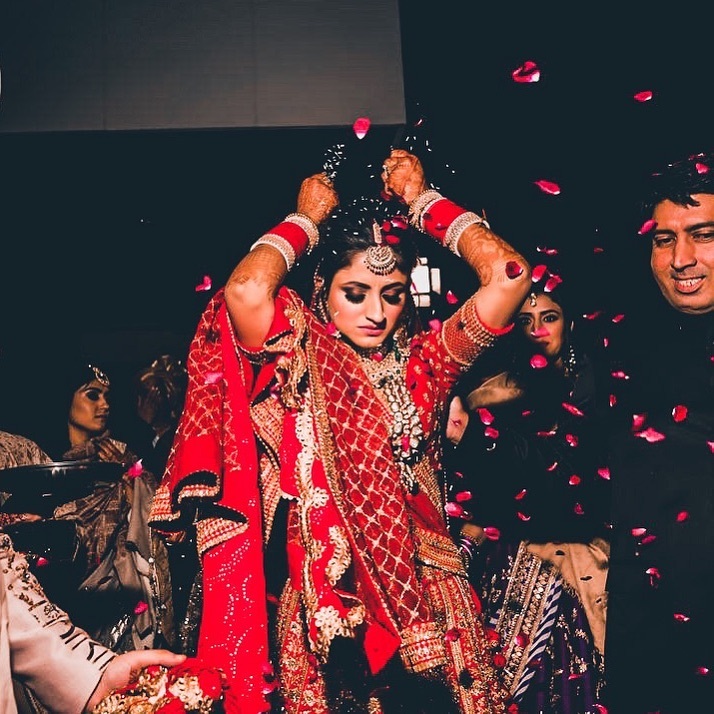 Her wedding pictures are ruling the Instagram feed and we are not complaining. 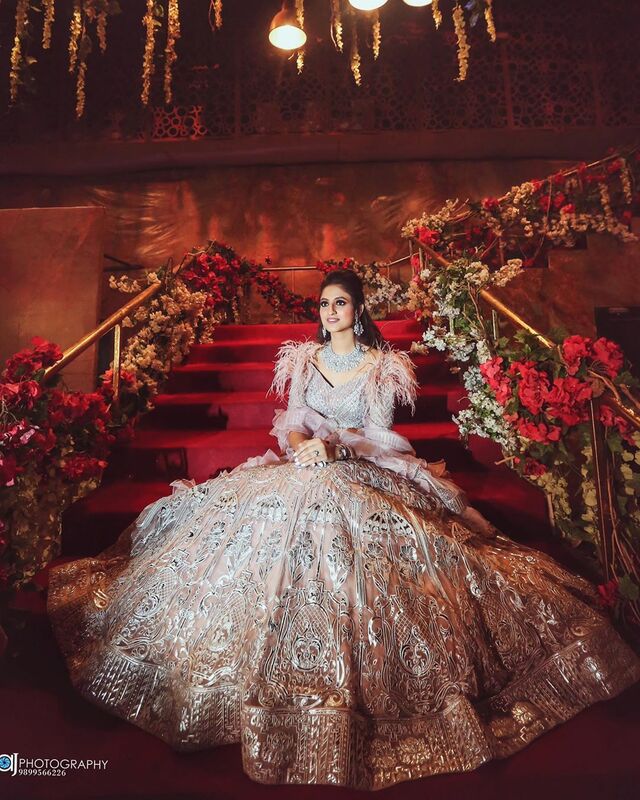 From her pre wedding ceremonies to her wedding invite to her grand wedding everything is just so dreamy! 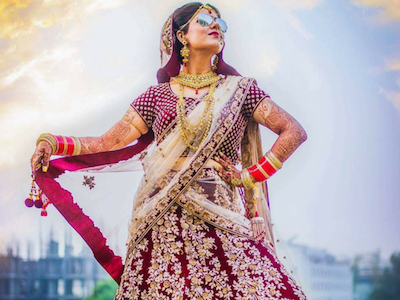 She made her dream wedding viral with a personalised wedding hashtag #karma. 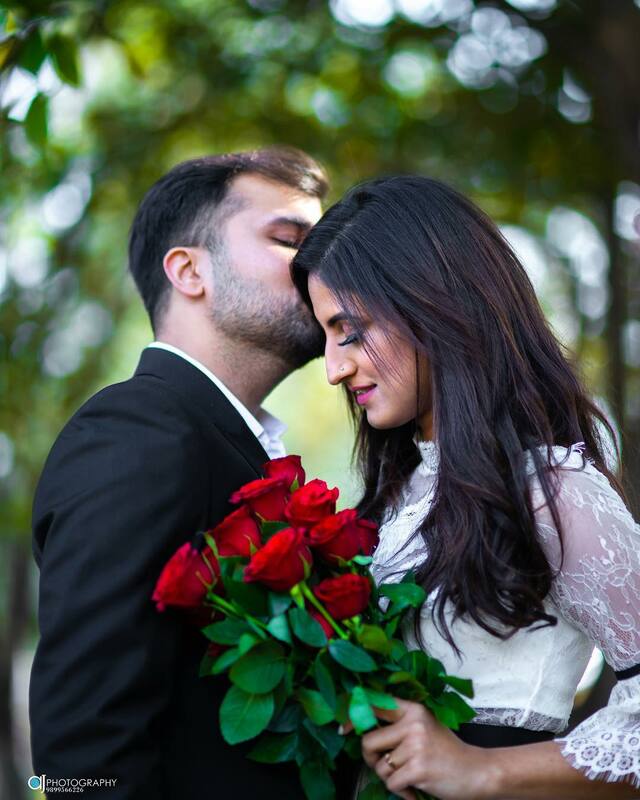 The two had a very romantic outdoor pre wedding shoot with photographer Arjuninder Singh and we can’t stop but fall in love with these cuties. 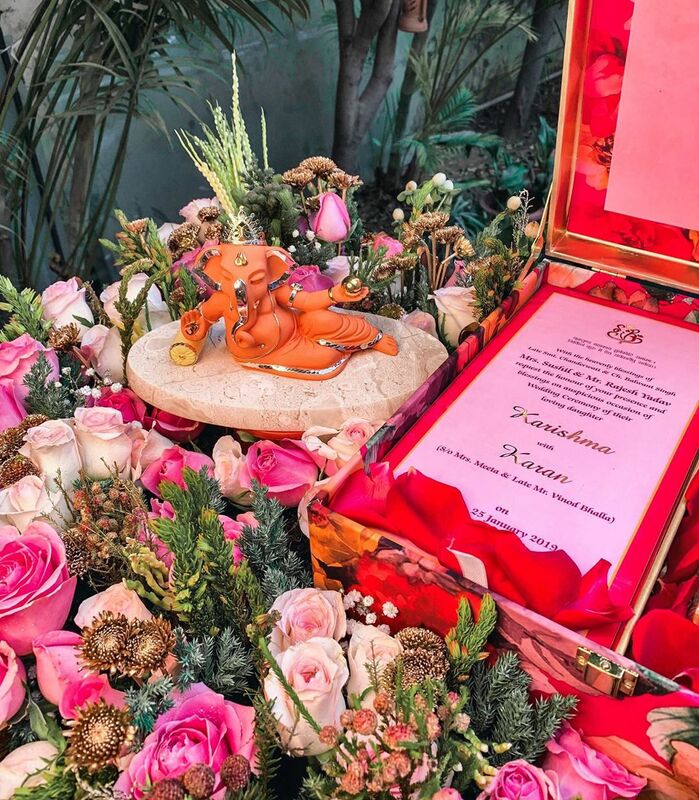 Here is a glimpse of blogger Karishma Yadav’s wedding invite which is so artistic. 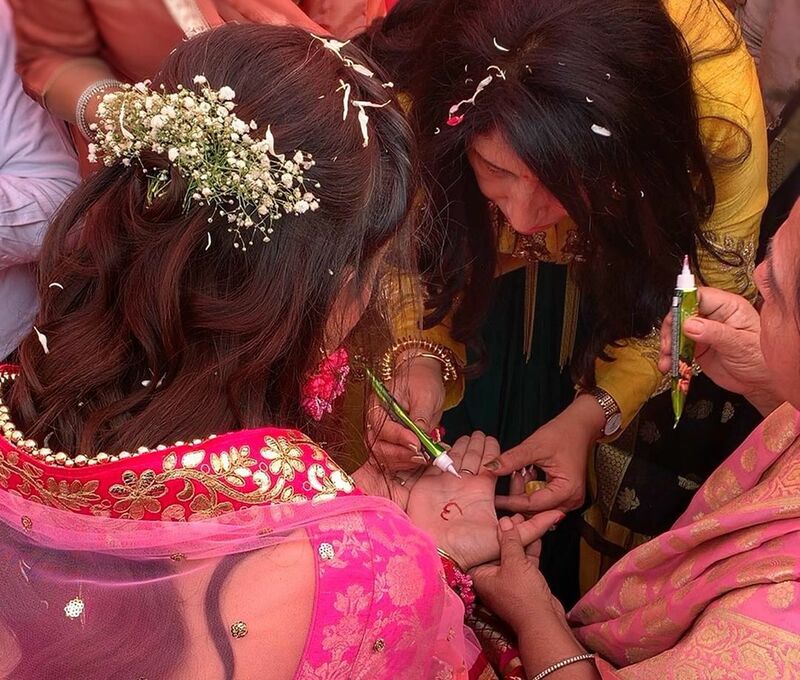 Karishma’s pre wedding ceremony started with the Bhaat Ceremony. 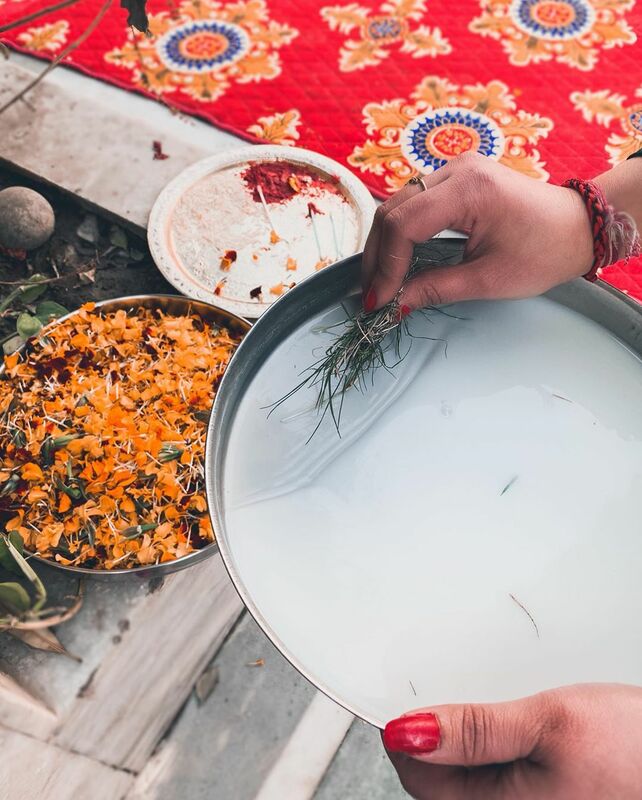 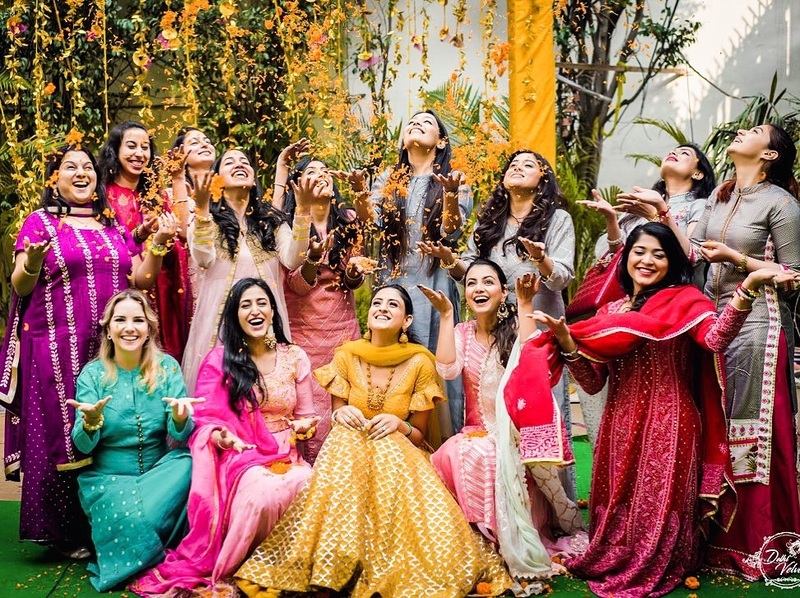 It is one of the pre wedding ceremonies in Hindu traditions where the mother of the bride invites her mother and brother’s family for her daughter’s wedding. 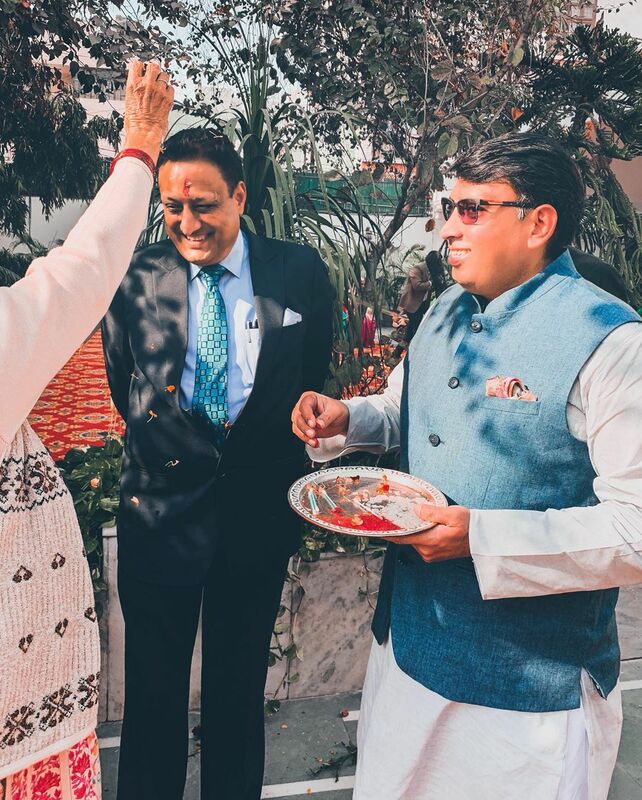 It is one fun ceremony with all the family members and relatives. 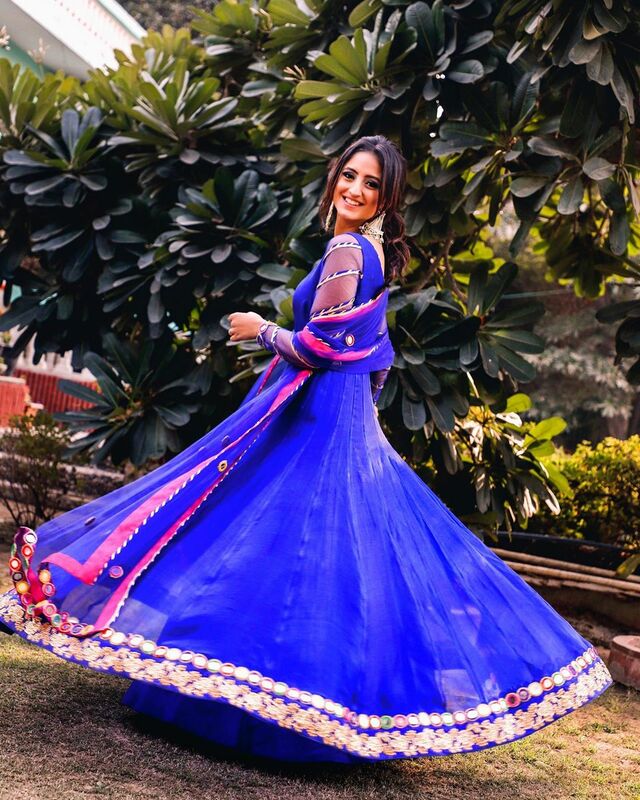 For the Bhaat ceremony, our beautiful bride-to-be, wore a royal blue anarkali with statement earrings, keeping it simple and elegant. 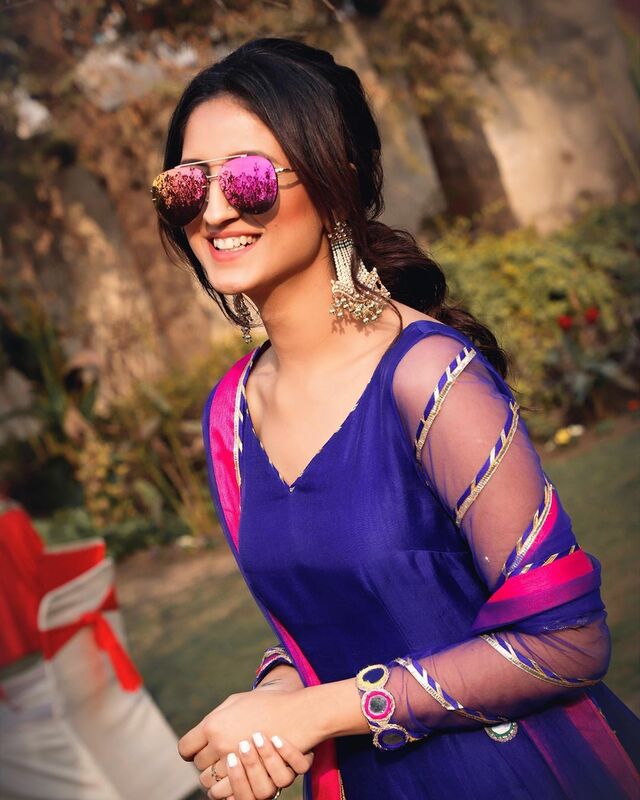 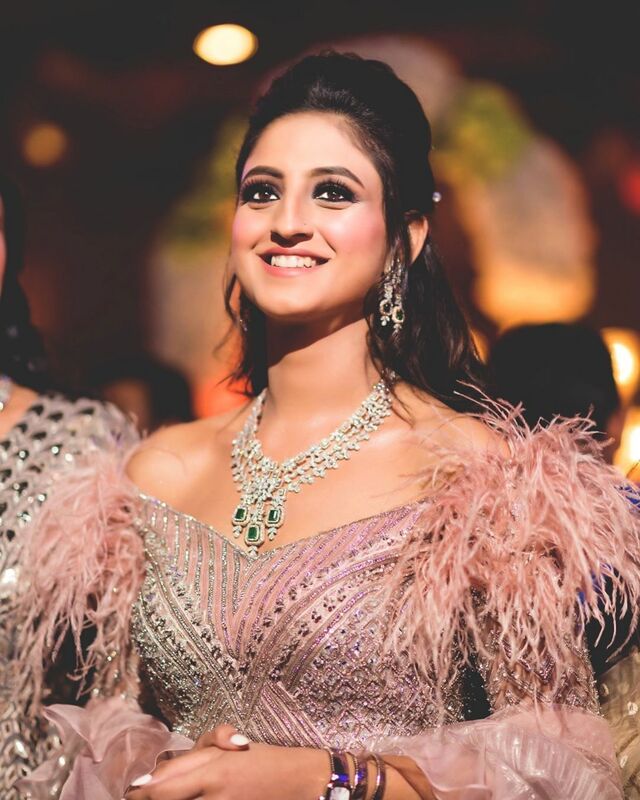 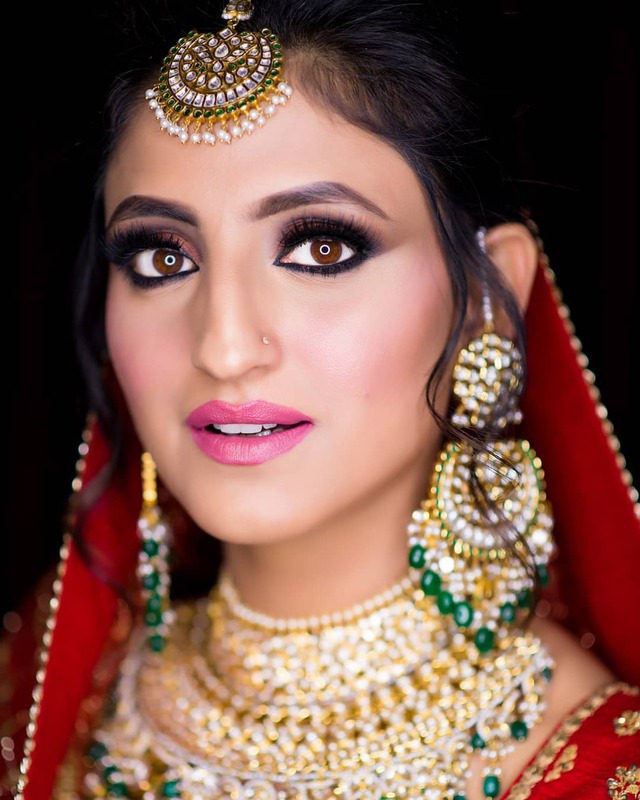 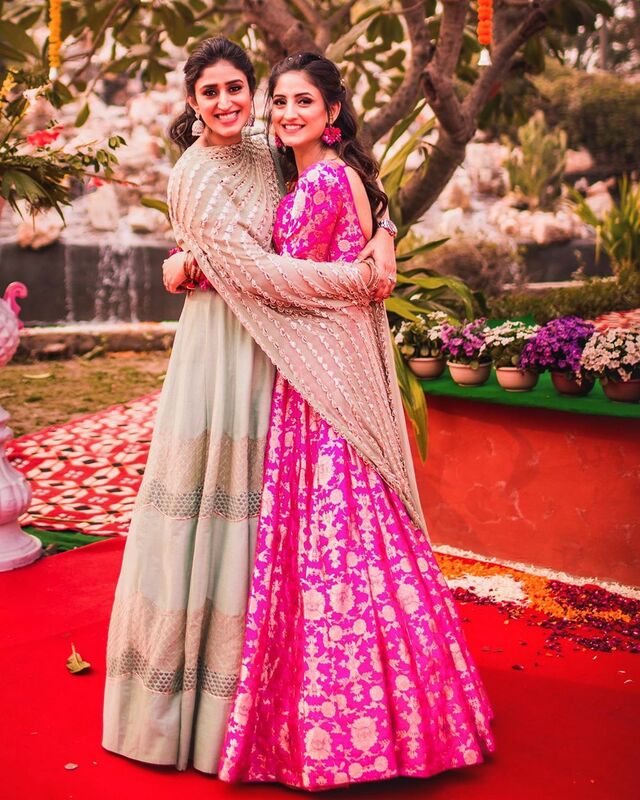 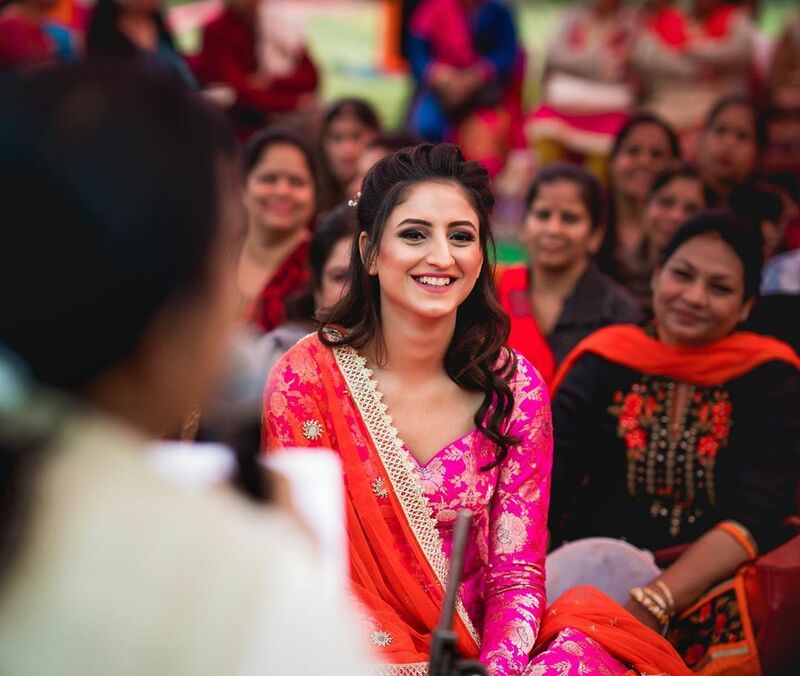 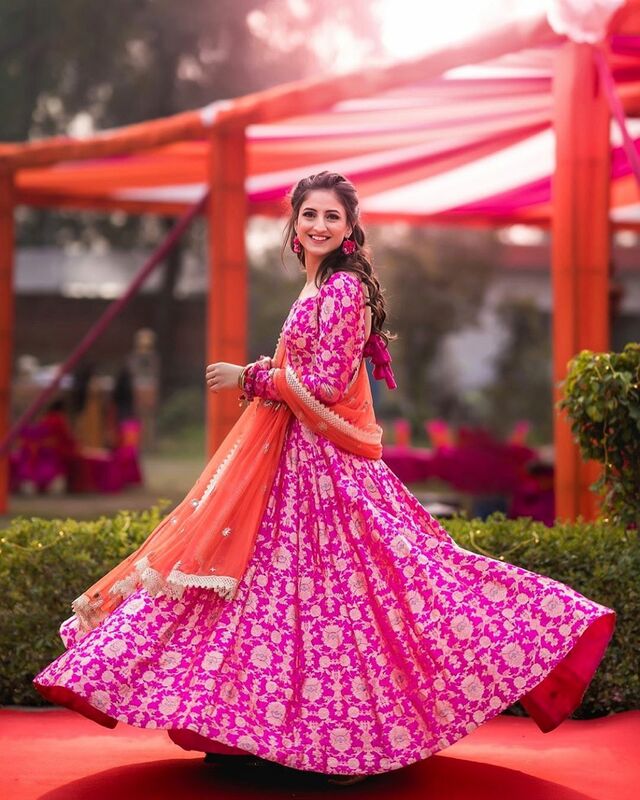 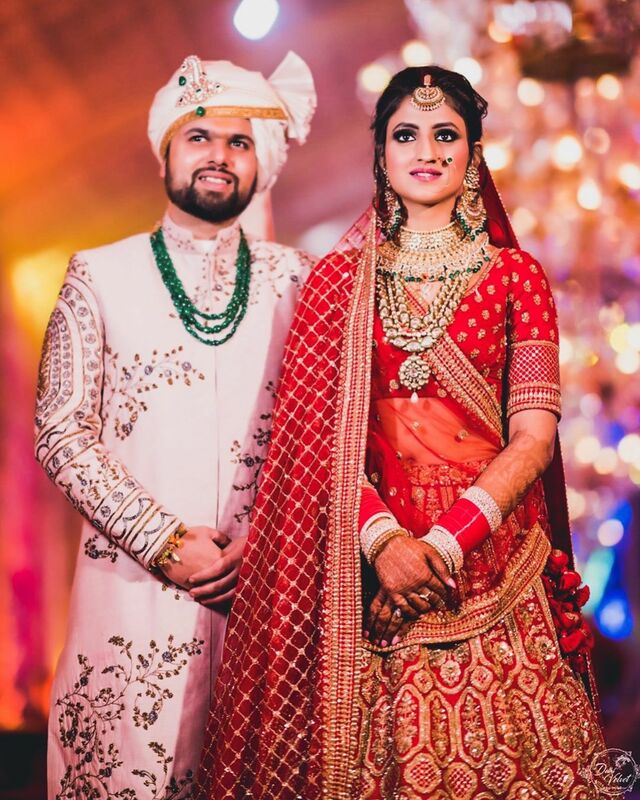 Karishma Yadav rocked each and every look of her pre wedding ceremony with full grace. 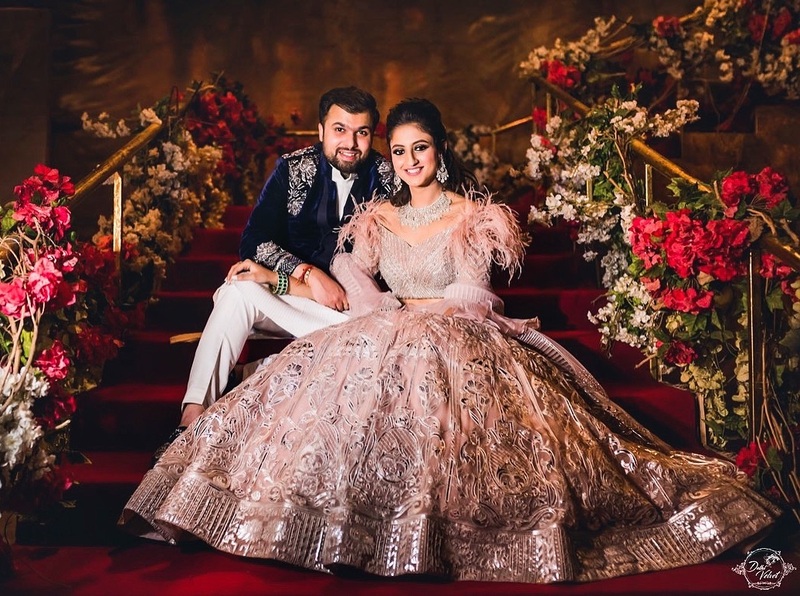 For the Paath ceremony, she wore a dark pink brocade anarkali. 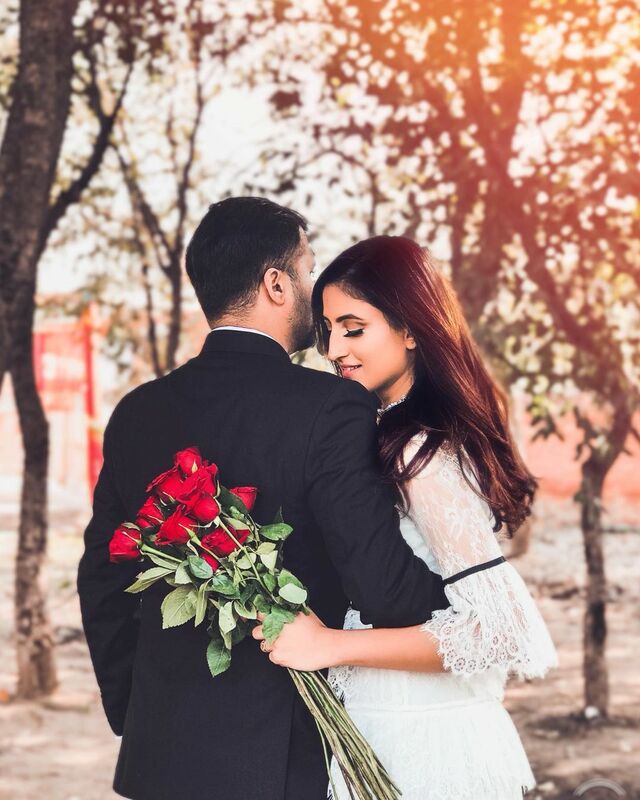 She kept her hair open with soft curls and accessorized them with baby breath. 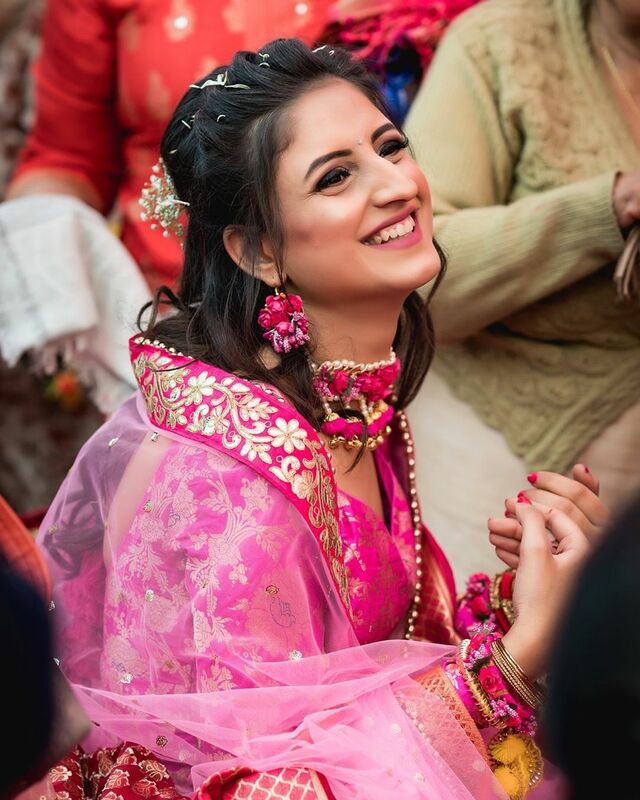 Karishma completed her look with floral jewellery. 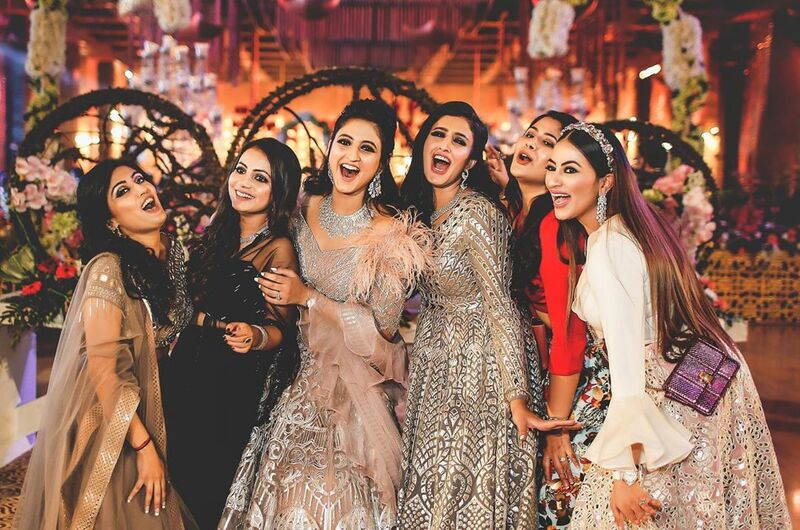 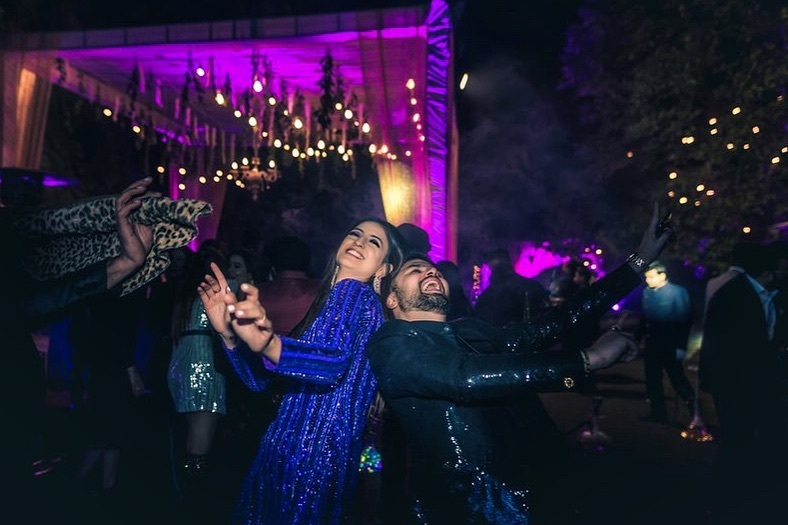 A wedding is incomplete without a disco night and blogger Karishma Yadav made sure it is a grand one. 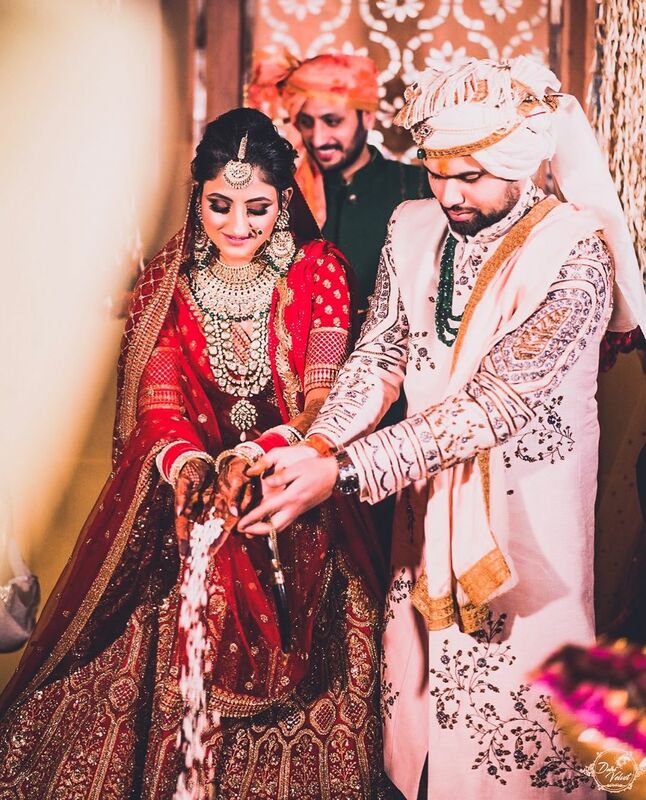 The couple looked absolutely gorgeous. 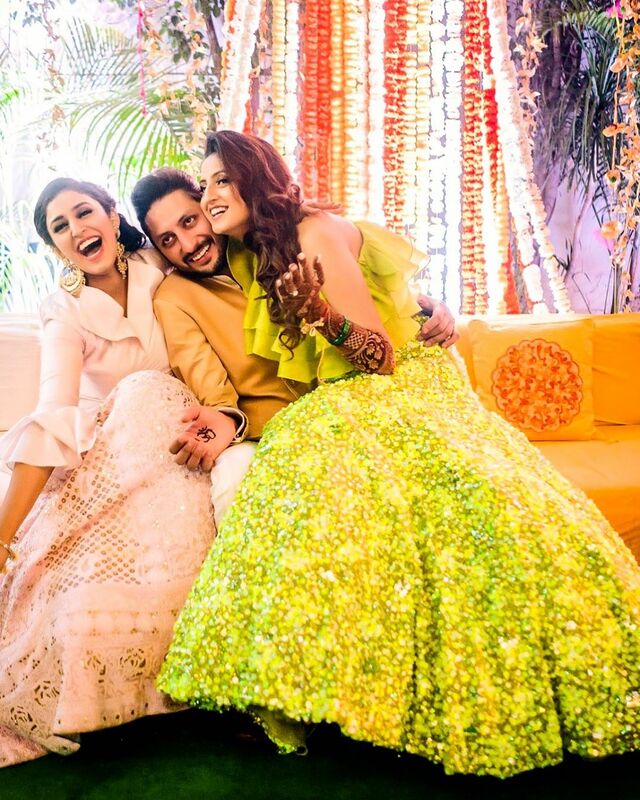 Karishma wore a Falguni Shane Peacock outfit and the groom, Karan wore Manish Malhotra. 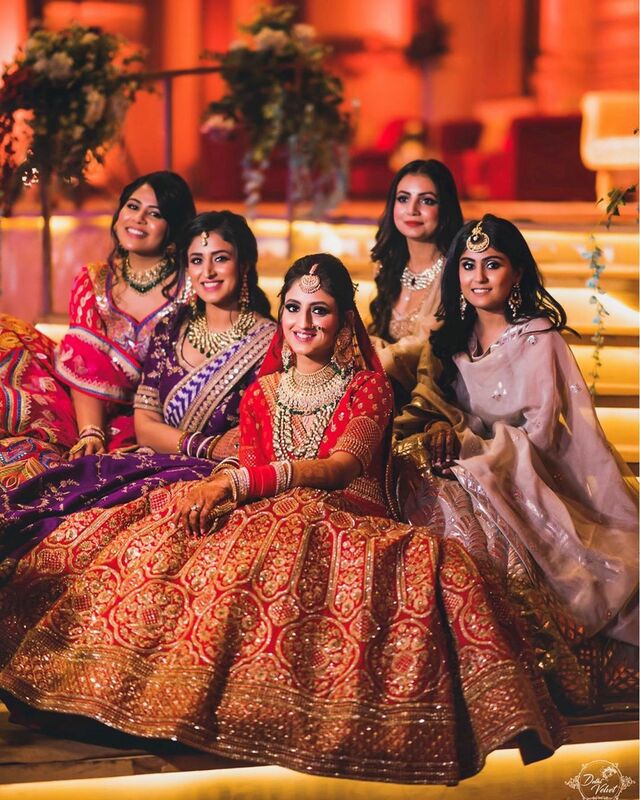 We must say DelhiVelvet has captured their pictures beautifully. 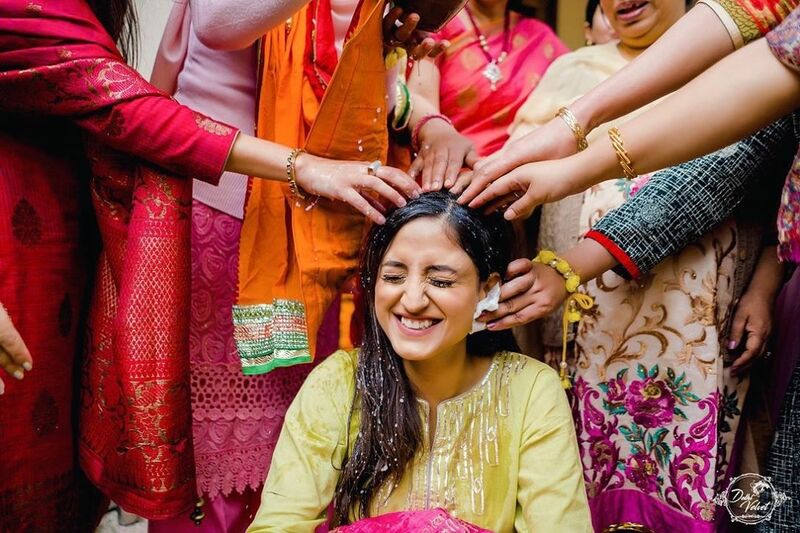 Karishma’s haldi pictures clearly spells pure joy. 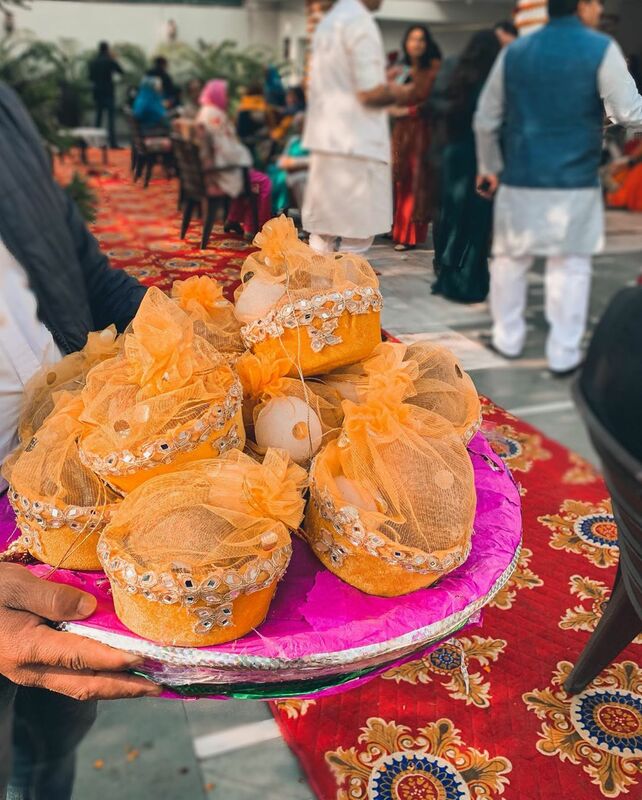 The #karma mehendi ceremony was amazing! 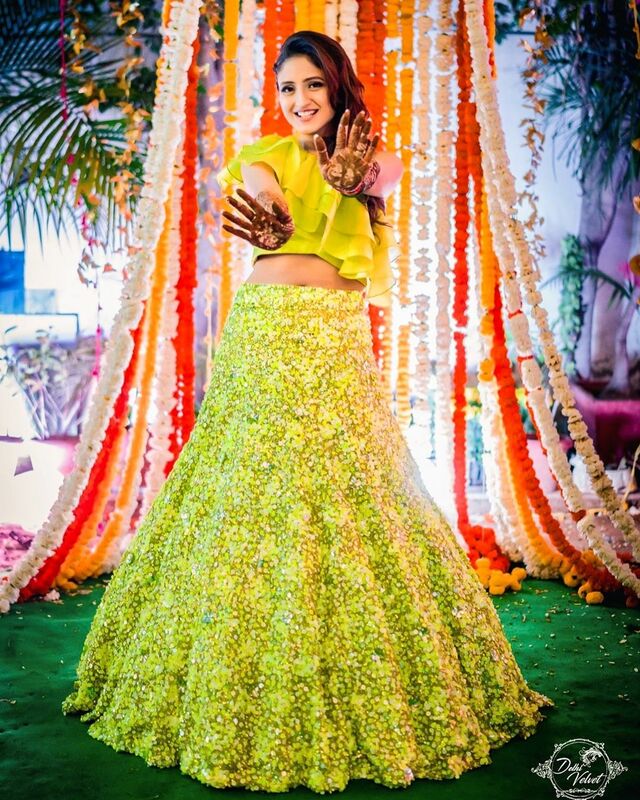 Bride, Karishma wore a stunning embellished lime colored lehenga with a fringe top by Suneet Verma at her mehendi. 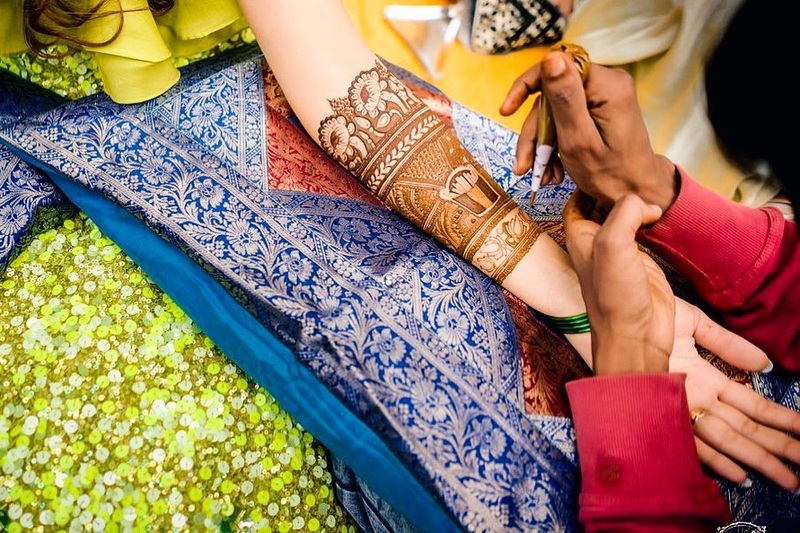 But, it was her beautiful mehendi that caught our attention. 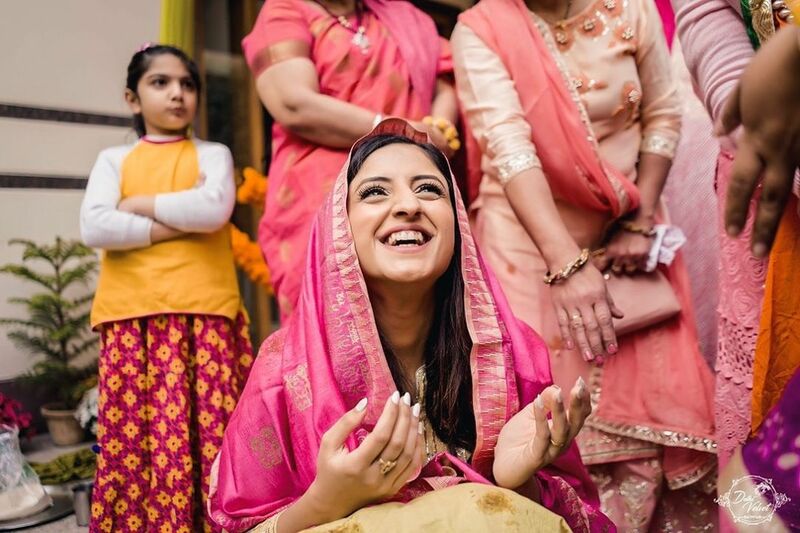 Her bridal mehendi had fries, as food is her ultimate love. 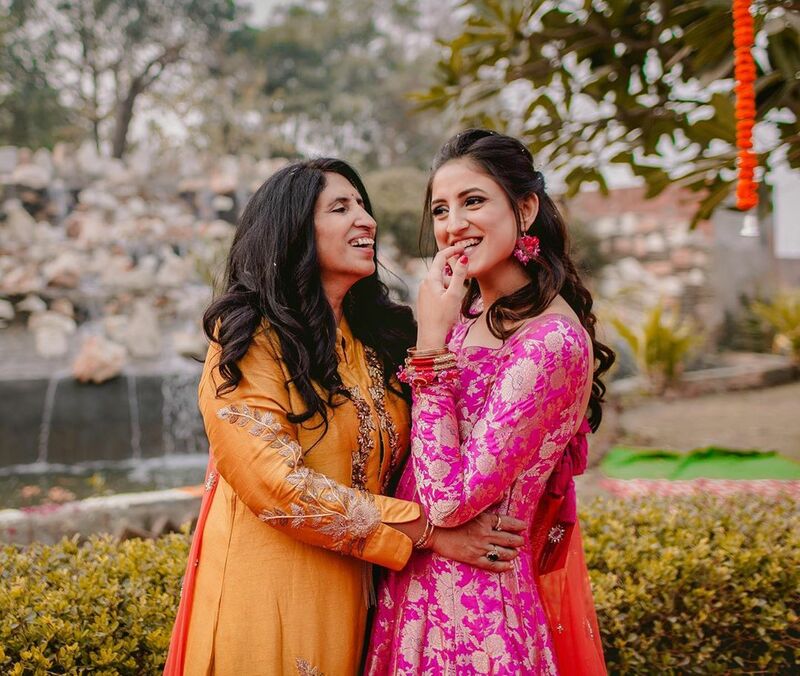 This video just made our eyes teary but made us smile as well. 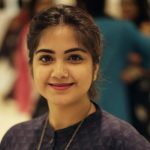 Isn’t this we all were waiting for? 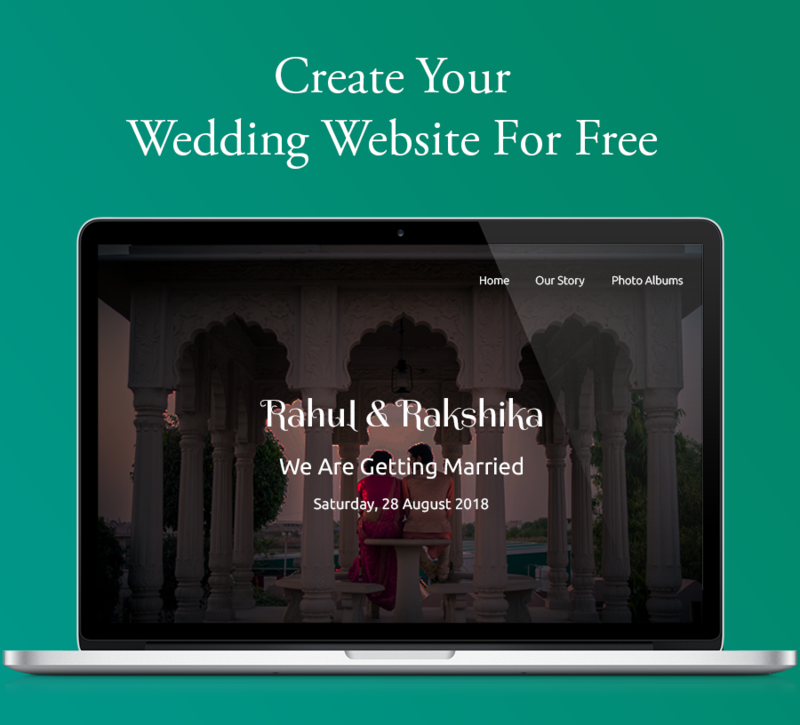 The magnificent wedding day, and here it is. 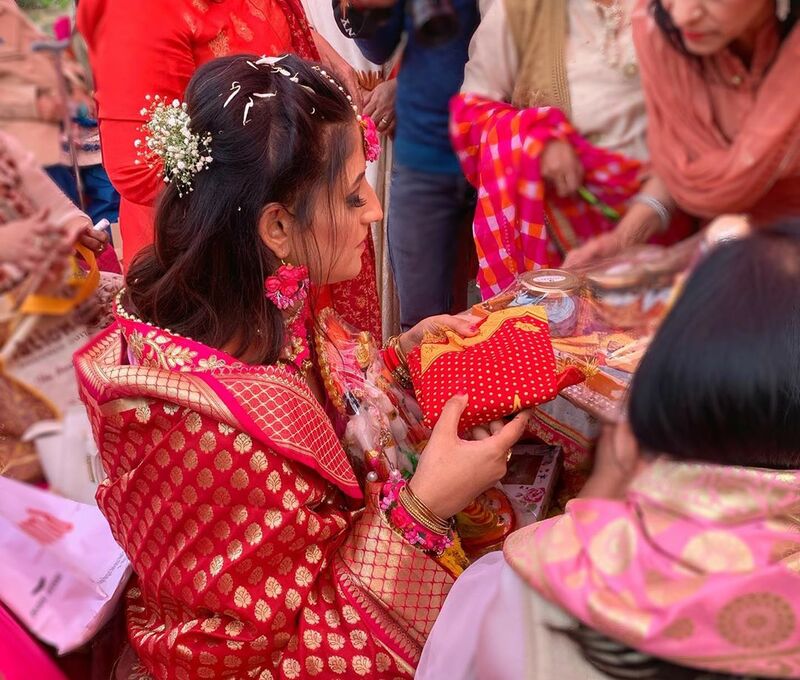 The bride in red looked gorgeous, haye nazar na lage! 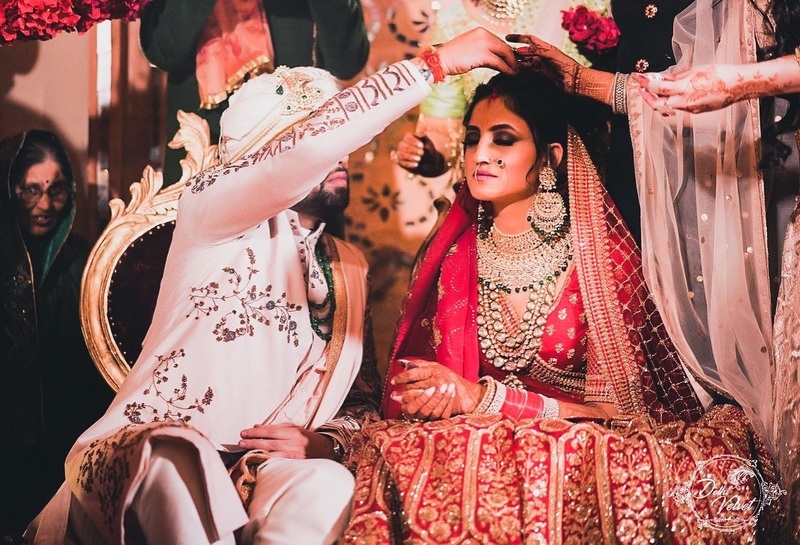 And, the groom looked equally dashing in an ivory sherwani with embroidery on the sleeves and some green emeralds. 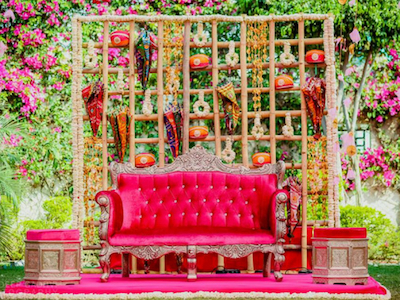 We thoroughly enjoyed each and every ceremony of #karma and would happily steal many wedding trends as well. 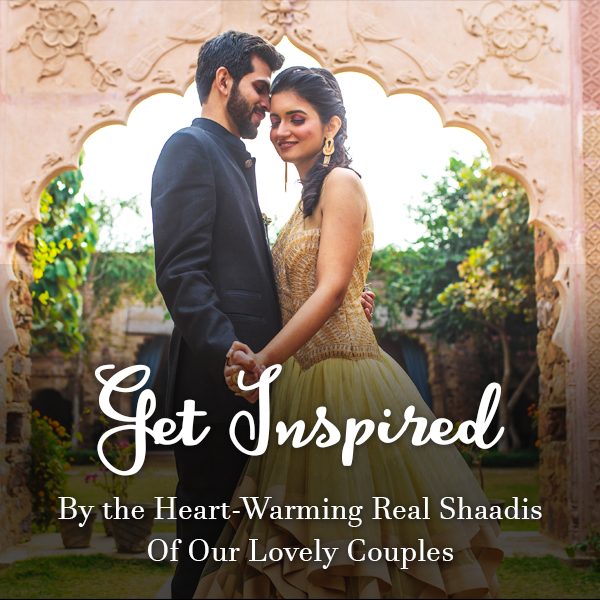 2019 has something really beautiful and gorgeous wedding trends in store so stay tuned as we bring to you the latest inspirations from all the weddings round the world. 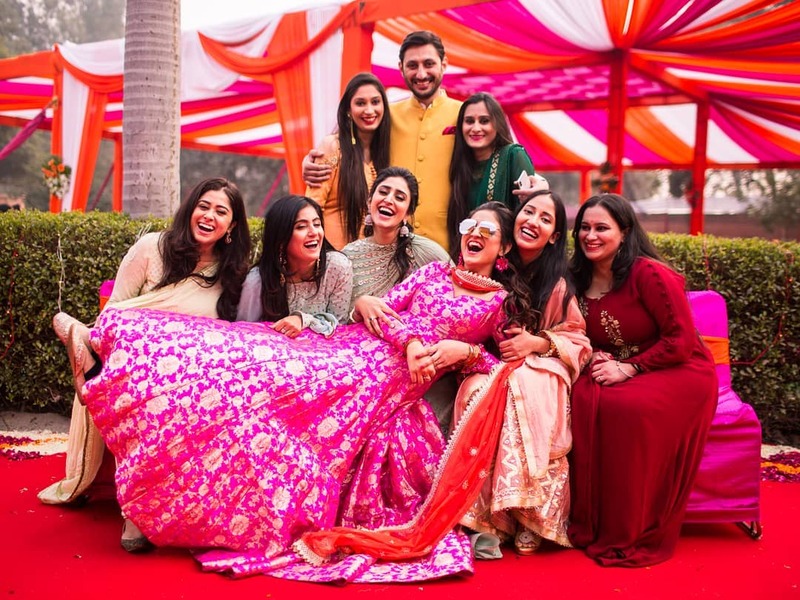 When Maroon 5 Performed At Akash Ambani And Shloka Mehta’s Wedding Reception!